When you want the ultimate party, to dance, to meet the hottest people, there’s only one place that rocks like Rumours Night Club, Clifton Hill, Niagara Falls. Rumours is open 7 days a week all summer long and Thursday to Sunday the rest of the year. Rumours is the place to be all year round and is the hottest night club in Southern Ontario. 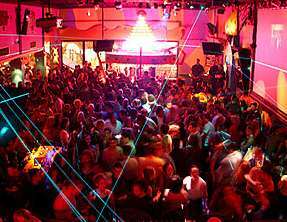 Located in the Heart of the Tourist District, Rumours Night Club plays host to local guests and travelers alike. Remember if you’re not here, you’re nowhere! Rumours Night Club is where the party begins at the top of Clifton Hill in Niagara Falls, Ontario, Canada!